located in Tyrone Township, Livingston County, Michigan. 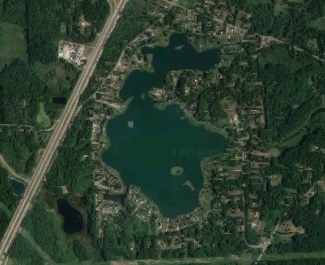 This site is for the community of Runyan Lake, the Members of Runyan Lake Inc., and for the interest of their family and friends, along with those who desire information on residing and owning property in the Runyan Lake community. Click any link below for information. Report a sewer alarm or sewer leak Realtors & Title Companies click HERE. 2019 annual dues become delinquent after 4/1 and are now subject to late fees. Please add $25 to your payment if you are class A or B, and $10 if you are class C. Dues invoices were mailed the first week of January. If you need more time to pay, have a hardship, or did not receive an invoice please contact us. 7/21/2018: From Tyrone Township - The burn ban has been lifted. Permits are still required to burn. 7/12/2018: From Tyrone Township - A burn ban is in effect until further notice. Please do NOT burn. This includes campfires. 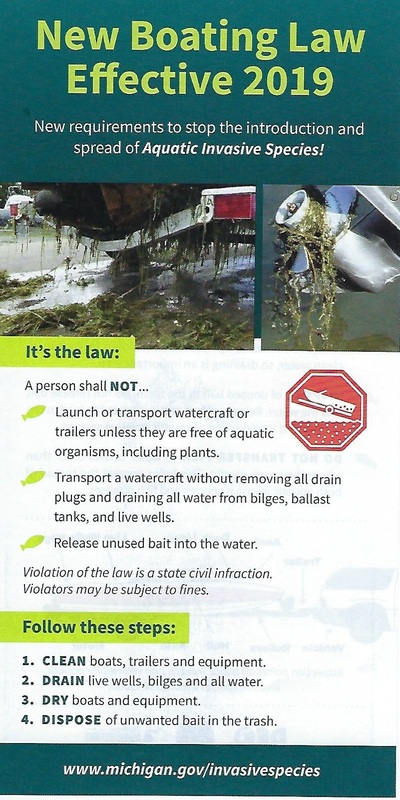 7/5/2018: REMINDER - You are required to comply with all State of Michigan boating laws. 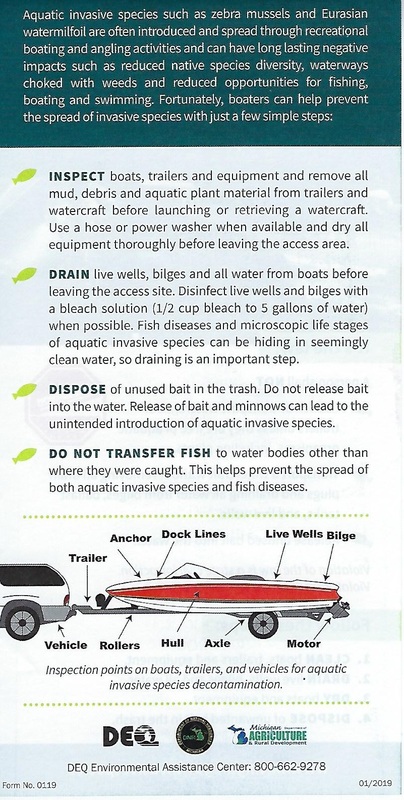 We are receiving complaints about boaters without spotters pulling tubes. This is dangerous for you and your children! Please don't risk an accident, or death. 7/1/2018: The lost dog reported missing last night has been located. 5/3/2018: The burn ban has been lifted. Please burn safely. Reminder, burning requires a burn permit. As spring is beginning to arrive we are receiving more wandering dog complaints. Michigan law requires your dog to be on a leash in your immediate control if your dog is not within your property. Please respect your neighbors and don't let your dog wander! Click here to read the email sent to all Members on 2-23-2018. See the new garbage collection opportunity for Runyan Lake residents. Click on the Garbage Collection link on the link bar. For previous Community Notices click here. New webpage. Check out the history of Runyan Lake dating back to 1859 and see if the lake is natural or man made. There are no set hours for the boat ramp. For an appointment, riparian Members please call a trustee with at least 24 hours advance notice. Appointments cannot be made online. Your RLI boat sticker is on your watercraft (right side). Renters must request boat stickers through the property owner. Click HERE for more ramp use information. Michigan’s Natural Resources and Environmental Protection Act (Act 451 of 1994) Part 413 has been amended with changes for boaters and anglers that take effect March 21, 2019. Learn more here or see below. Please check the Lost & Found page if you might be missing something. New **found** item posted. We have a new weed control contractor for 2019 - Aqua-Weed Control Inc. Please see the weed control page for the annual treatment notice, current treatment map, current treatment notice, treatment dates, and more details. While not sanctioned or monitored by RLI, there is a Runyan Lake Inc. Facebook account many people around the lake are using to communicate. 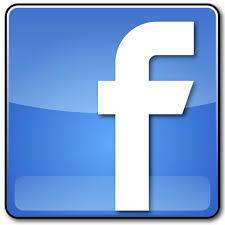 Facebook Group Name: Runyan Lake Association. People must be approved to be part of the group! Please keep in mind RLI does not own or monitor this account. All inquiries to RLI must be made via Contact Us to reach us. We still see some Members using other service providers. Check out our group rate - you might save some money and help save our roads! On 12/1/15 the Tyrone Township Board approved increases to our quarterly sewer O&M fees for 2016 - 2021 of approximately 3.5% annually. RLI remains concerned about the large cost incurred by RLI Members while most of the Tyrone Township sewer system remains unused. We will continue to work with the Drain Commission and Township in an effort to control costs and require others to pay their fair share. Please contact Marcella Husted, Clerk, and Jennifer Eden, Treasurer, @ 810-629-8631 with your questions, concerns, or complaints. Rate details can be found on the Sewer page. We now pay $908/yr for sewer service, an increase of $668/yr (278%) since 2003! This does not include the special assessment levied for the 2003 system upgrade, an additional $300/yr for most, or the additional $650 assessment for the grinder pump! Are we really paying our fair share or are we subsidizing the rest of the undeveloped system? Ask your township officials! Are you new to Runyan Lake? Click here to learn more about navigating Runyan Lake and avoiding the sandbars. The 2019 fishing contest is June 28 - July 5. See the fishing page for more details and past contest winners. Thanks to those who helped out! If you see and can access the invasive plant Purple Loosestrife (spikes of purple flowers), please cut off the blooms and bag them carefully in a plastic garbage bag. Tie up the bag and place it in your trash. One plant has millions of seeds that will fall if not removed. This is an undesirable invasive plant that will choke out native plants. More information and pictures can be found here. As requested by the Membership, a permit has been obtained for the removal of geese from Runyan Lake. Removal occurred on June 28th. See the Goose Management page for more information. Want to quickly know what has recently changed on our website? Try our What's New? page!! Samples were collected on 6/13 & 9/4/18. Results are all within the acceptable range. See the Water Quality page for details. * Please contact Ivan Quinn, Treasurer, Runyan Lake Inc., for a complete package of information including overview, billing & payment status, and lake access privileges for any specific property in the Runyan Lake community. Copyright © 2007- 2019 Runyan Lake Inc. All rights reserved. Updated March 28, 2019. Reproduction in whole or in part in any form or medium without express written permission from Runyan Lake Inc. is prohibited.